It’s your choice, our used machines provide you with certified Pester quality. Trust in proven performance. Use our repurchase service when you are planning to modernize your machine inventory and want to replace your existing Pester equipment with new Pester machinery. If you’re looking for a used machine, this is where your search ends. Need a machine on short notice? You can now lease a Pester machine. Together we can quickly overcome your bottleneck. Individual leasing agreements guarantee highest flexibility. 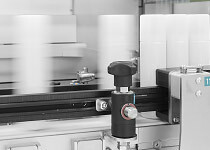 Your leased machine can quickly be integrated in your production line. Your non-binding inquiry. Your data is transferred securely. We will, of course, treat your data confidentially and use it only to transmit the desired information.